About a week ago, I received a re-engineered version of the Tecsun S-8800 from Anna at the excellent online retailer, Anon-Co. If you recall, I evaluated an early production unit of the S-8800 in February and while putting it through the paces, I discovered loud, warbling DSP birdies throughout the mediumwave and shortwave bands. Tecsun, to their credit, pulled the S-8800 from production to address the issue. My schedule last week made it impossible to carve out the dedicated time I needed to begin an S-8800 evaluation. Yesterday, however, I spent the afternoon with my family at Richland Balsam, the highest point on the Blue Ridge Parkway (6,000′ ASL) and a completely RFI-free zone. I brought the Tecsun S-8800 and a few other portables along for the ride–namely the Digitech AR-1780, the C.Crane CC Skywave and the Panasonic RF-2200. Let’s be clear: comparing any modern radio with the RF-2200 on mediumwave is hardly fair. For one, the RF-2200 has been out of production for a few decades. Secondly (what I never finished saying in the video is that) the RF-2200 has a large rotatable ferrite bar antenna that provides excellent gain. The RF-2200 simply wipes the floor with all of my modern portables as their ferrite bar antennas are a fraction of the size. In other words, the RF-2200 was engineered to rule mediumwave like a boss. On shortwave, the RF-2200 does a fine job, but isn’t nearly as accurate and stable as modern DSP receivers. Still, as the video indicates, my final review of the Tecsun S-8800 will indicate that it is not a receiver for the serious Mediumwave DXer. It’s been my experience that few shortwave portables are excellent on both HF and MW. At home, tuned to local station 880 AM. Of course you can’t tell from the video, but the S-8800 actually sounds brilliant when tuned to a relatively strong/local AM station, but either a lack of sensitivity or internal noise makes MW DXing a challenge. The S-8800 still has some birdies on MW, but they’re not the loud warbling kind found on the previous model. Tecsun did properly address this, though in full disclosure, I haven’t fully explored the shortwave bands yet. I suspect the S-8800’s performance on shortwave will be much better than mediumwave because the previous S-8800 showed excellent results. As long as sensitivity wasn’t harmed while addressing the DSP birdies, I expect it’ll give the PL-880, PL-680 and Sony ICF-SW7600GR a run for their money. The Panasonic RF-2200 is the indisputable champion of mediumwave! 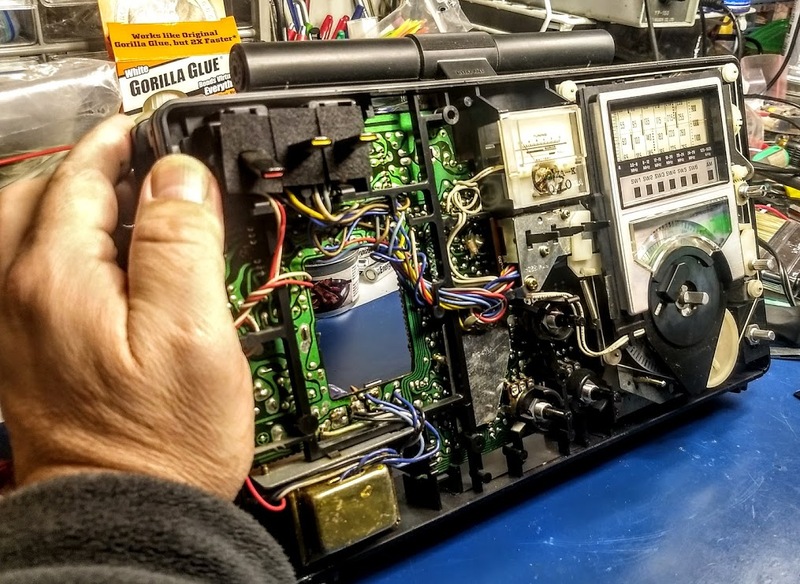 This entry was posted in AM, Mediumwave, New Products, News, Radios, Reviews, Shortwave Radio, Shortwave Radio Reviews and tagged AR-1780, C.Crane CC Skywave, CC Skywave, Digitech AR-1780, Medium Wave, Mediumwave, Panasonic, Panasonic RF-2200, RF-2200, Tecsun, Tecsun S-8800, Tecsun S-8800 review, Videos on August 28, 2017 by Thomas.